Like much of the rest of the educational research world, I’m in Toronto for the next few days for the annual AERA meeting. I’m sharing my presentation schedule below as well as some resources related to the address I’m giving on Saturday as the recipient of the Jan Hawkins Award. 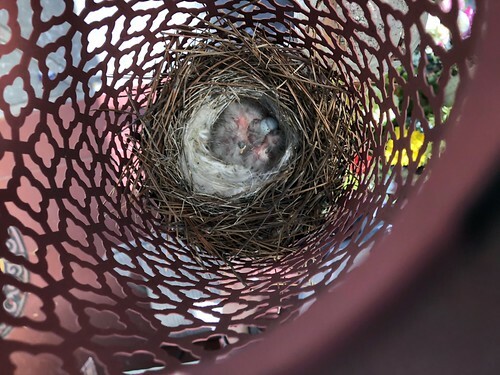 If you’re in town, please send me a tweet and let’s connect! If you happen to be around Stanford on Thursday (the 31st), I’ll be talking about my book Good Reception as part of Stanford’s Center for Comparative Studies in Race and Ethnicity Chautauqua. If you RSVP for the event at this link, you’ll even get a free copy of the book. It kind of feels like I have to pay people to hear me share my research which does wonders to my self esteem. The best novels I read this year were There There (where the quote in this post’s title comes from) and An American Marriage. These are critically acclaimed works and show up on everyone’s year end lists for good reason (I see you, Barry!). The sci-fi novel The Player of Games was the exact mixture of ethnographer-studies-games-of-foreign-cultures-but-also-in-outer-space that made it the Antero-equivalent of catnip. I read a bunch of comic books this year and that included digging into the 9 volume collection of Naoki Urasawa’s Monster; it was one of my more sustained engagements with manga and I really enjoyed the entire run. Sabrina is the highbrow graphic novel that I’m not sure if I liked but is a good conversation starter. Mark Russell & Mike Feehan’s The Snagglepuss Chronicles (yes, that pink cat) is amazing. Snagglepuss is a playwright frequenting the Stonewall Inn and facing MaCarthyism head-on. It is timely, poignant, and tragic. Moxie is the YA novel that made me listen to a bunch of riot grrrl records for the first time in ages and if it introduces younger readers to the likes of Kathleen Hanna, 3rd wave Feminism, and the Sharpie-and-glue-and-scissors world of zine making, then that is awesome. The reality TV junkie in me also really liked Nice Try, Jane Sinner. Virginia Eubanks’s Automating Inequality and Christopher A. Paul’s The Toxic Meritocracy of Video Games are both books I read for different research projects that I think could be of interest to general readers (the titles are pretty self-explanatory). In terms of music, Janelle Monae’s Dirty Computer was my favorite album of this year and an incredible, moving live show. I also really liked the new Parquet Courts and Dirty Projectors albums. However, most of my time was spent listening to female-led singer-songwriter-y stuff: boygenius (including all three members’ recent-ish albums), the Crutchfeld sisters, Black Belt Eagle Scout, Snail Mail, Soccer Mommy, Molly Nilsson, Mitski, Robyn, Miya Folick, etc. YouTube informs me I listened to this cover of Kendrick Lamar’s “LOVE” an embarrassing number of times. Ditto the Mac Miller Tiny Desk Concert. Finally, I’ve been listening to this old Modern Lovers live album a lot while writing at night. “Morning Of Our Lives” feels like the kind of optimistic psalm to usher in the new year. I’ve been thinking about how opaque the researching/writing/publishing process is for academics. Like most of my colleagues, I did a lot of work this year that is largely invisible and that won’t see the light of day until next year (or later). This often meant digging into data analysis with colleagues, engaging in field work in various cities as well as virtually in online environments, planning, preparing grant reports, and other day-to-day activities that move scholarship forward. It also meant spending a lot of time writing, re-writing, editing, and re-editing. Even when something is accepted for publication, it can be months until it officially reaches the public. In light of this, I want to highlight some of the research I worked on this year. 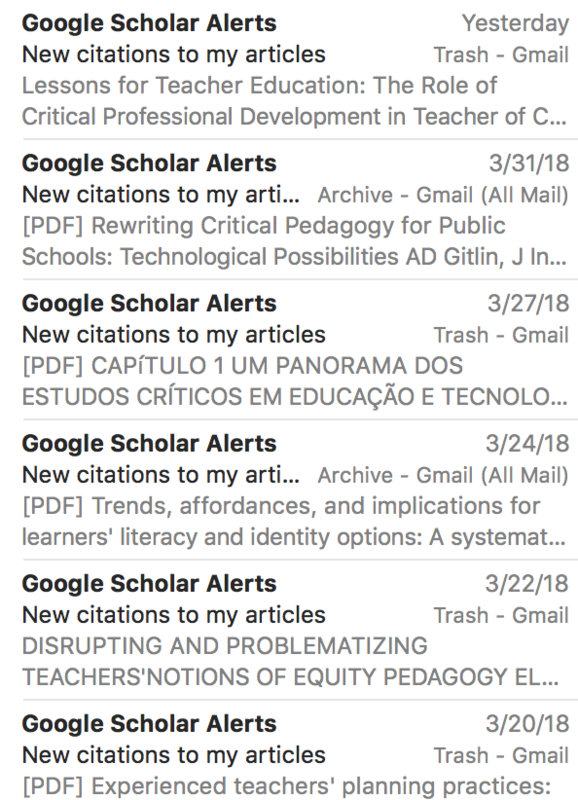 This is not a definitive list; Google Scholar has a close-to-complete list of the publications I wrote this year and I am sporadically trying to add PDFs of various materials to my Academia page (I don’t love the service, but it’s an easily findable platform where I can put papers until requests for them to be taken down trickle in). 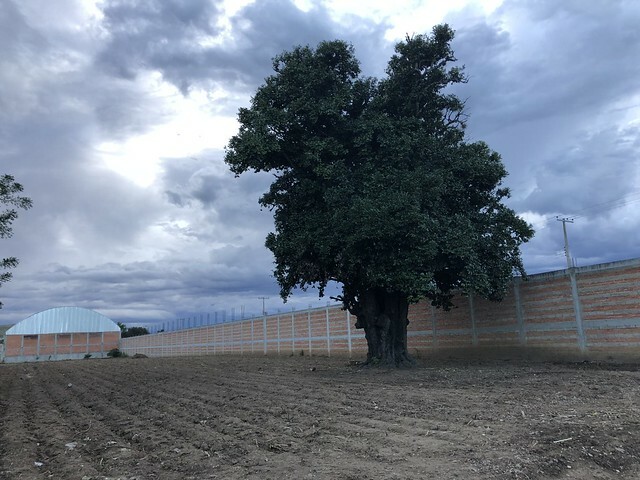 Instead, I am hoping this post describes what this research is about, the purposes underscoring my work, and the kinds of social, community, and activist commitments that drive what I do. In several essays, I focused intentionally on the role of healing, politics, and the responsibilities of researchers. Generally, I have been arguing that emotions are intertwined with politics and that both of these are topics that teachers are not well-equipped for in classrooms; this includes teachers’ own emotions as well as those of their students. Though youth civic identity has been a key part of the work I’ve been doing, this focus on healing and politics comes from my own inability to work in the months after the 2016 presidential election. I have been focusing intentionally on the ways teachers and researchers must account for affect and politics in our work. This article in English Education is probably the clearest distillation of this work for me right now (and that link includes the many crowd-sourced, open web annotations that were collected as part of the Marginal Syllabus). 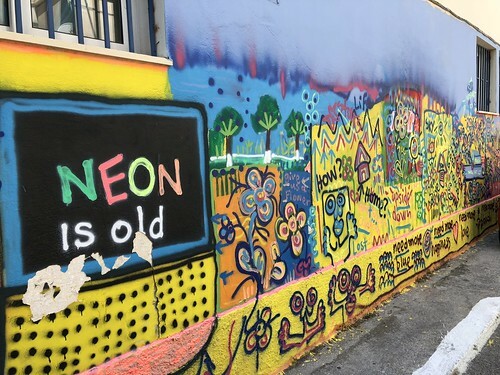 The special issue of Learning, Media and Technology that Thomas Philip and I put together was first developed in early 2017 and digs into these themes as well (it came out three weeks ago, to echo impetus for this post). I’m planning to dig further into these topics in more empirical work in 2019. Likewise, the research on student civic writing practices during the 2016 election are also tied into these themes and I am hoping to share these findings next year. I continued to research classroom reading and writing practices—both in articles that came out this year as well as in data still making its way through the publishing pipeline. In general, my colleagues and I have looked at assumptions about technology and what count as reading and writing in classrooms. Classrooms today are shifting in ways that are often overlooked when we think about new advances in technology, classroom interactions, and relationships—the fluidity of video links, of complex learning I’ve been researching. At the same time, the resilience of traditional, factory-model instruction remains staunchly in place. 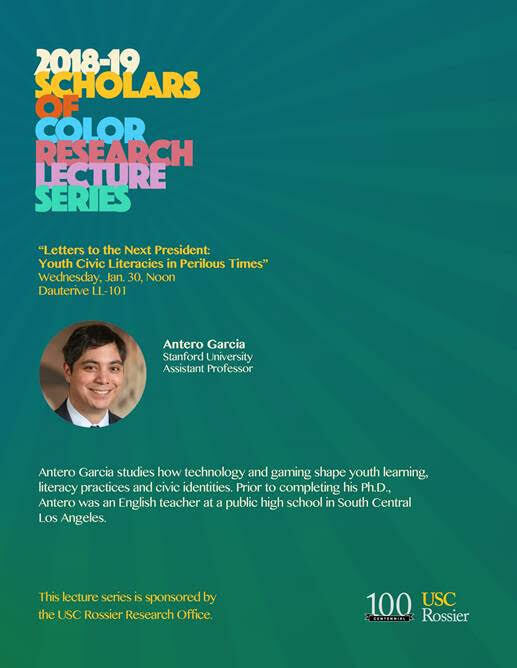 My work in this area tries to push on broader understandings of technology and pitfalls of forcing new contexts into old forms of schooling structures. Further, the ongoing Compose Our World project that I am part of is in its fourth year of data collection and I am excited to begin sharing our work around project-based learning in ELA classrooms soon. Further, I’ve been engaged in a couple of practitioner-facing book projects related to classroom equity in secondary ELA classrooms as well. I am hoping I can share these in the early months of 2019. Somewhat related to the above topic, I also spent a substantial amount of time thinking about and troubling notions of sociocultural literacy. This ILA Literacy Leadership Brief is a short synthesis of my push on understanding how technology can meaningfully support students and teachers. The gist is that the emphasis needs to be on people and what we can do in collaboration with one another; hearing, empathizing, and working in solidarity with one another must be centered with tools playing a secondary role. 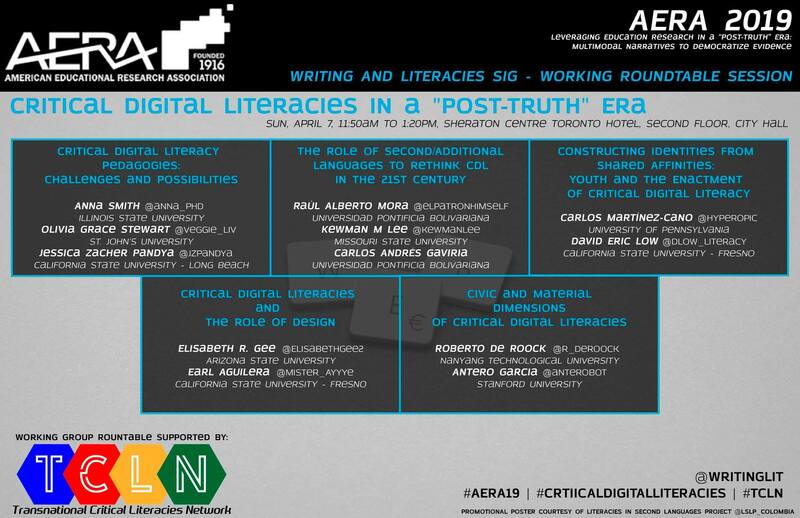 Likewise, like in my chapter in this volume, I’ve been trying to tease out the differences between digital literacies, analog literacies, and gaming literacy practices. Several of my articles have been intentionally pushing toward “analog” literacy practices to guide our field to be more intentional about what we refer to as “digital” literacies and what is overlooked with sweeping, generic terms. Though I didn’t have other gaming-related articles come out this year (they are in the works! ), my previous work still managed to piss-off a bunch of gamers. Related to this scholarship, my frequent collaborator Robyn Seglem and I co-edited a special issue of Theory Into Practice on Multiliteracies. The various pieces in this issue all are pushing on new understandings of literacies as informed by the New London Group’s seminal work (not officially old enough to join us at the bar for a celebratory drink!). 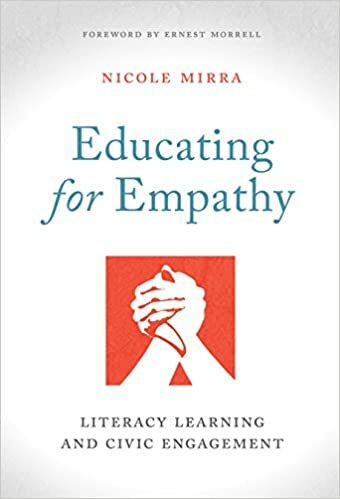 Nicole Mirra and I have been engaged in a bunch of work that pushes on familiar concepts of civic identity, equity, and imagination in classroom and informal learning contexts. In general our work is about broadening how we interpret civic participation, research around it, and engage in models of research that elevate the voices of youth, teachers, and the communities we learn alongside. Though from 2017, this article that Nicole led is a useful position from which we situate a bunch of the articles we have in the works. Somewhat related, my co-authored chapter in this book and in this book and in this book speak to ways that I see research and design intentionally engaging practitioners in this work. I still spend a bunch of my time reading YA books and thinking about comic books and pop culture more broadly. I still don’t think our pedagogies and policies take seriously the role of pop culture in classrooms and this has been a serious area of what I’m investigating. Likewise, when it comes to the role of YA literature, transmedia, and fandom, the burgeoning methodologies in these spaces are awkwardly suited for engaging in spaces of educational research and I’ve been exploring methodological approaches to these spaces; all of this work is still developing right now. The chapter on Cathy’s Book that Bud Hunt and I co-authored was fun to work through and has hints of this thinking. Similarly, I spent a lot of time on a large editing project related to comic books and pedagogy which I hope I can announce in the coming months. Though not definitive, I think this gives a snapshot of some of what I spent 2018 doing. I also realize that my work can look a little scattershot when described as above. I’ve been trying to work on articulating the driving agenda around youth, identity, and civics that compels me to study PBL in 9th grade classrooms while also thinking about layers of gaming in Dungeons & Dragons while also analyzing student letters to the next presidents; these are all of a piece in my attempt to understand civics and schooling today. Maybe the links across my work will be a little clearer in 2019. Oh that? That’s a meme going around some corners of the internet. It’s building off of the Breitbart article that is ostensibly about my research. I wrote about the first time that went viral here. Let’s unpack this a bit. The Satanic Panic of the 1980s was a significant moment in gaming culture and highlights the threats to imagination manifesting in ways that look strange and unfamiliar to mainstream culture. It is also part of a cycle of fearing new forms of (generally youth) culture. Notable examples post ’80s include Marilyn Manson, the Matrix, video games, cell phones, Snapchat and many, many others. Within this context and as a part of the formative years for tabletop roleplaying games, the fear of 1980s remains an important moment for understanding the genre and the kinds of fragility that remain in tabletop and video gaming culture today. 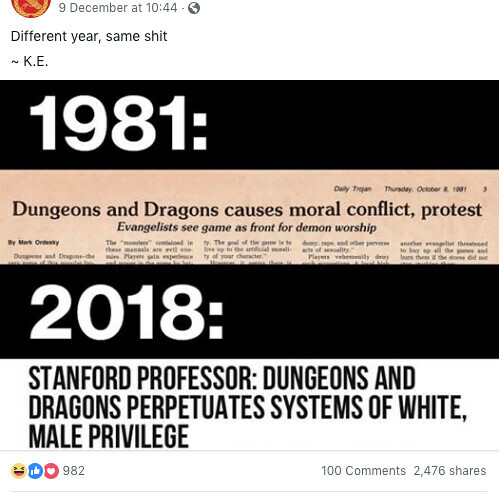 At the same time, I also want to note that the fear of “demon worship” in the first headline of the meme is not the same as critiquing white and male privilege. I think this is a really important point and the fear of the 1980s is not the same as acknowledging—let alone critiquing–privilege 50 years into the history of D&D. As I note in the article that kicked off this dust storm, D&D is a gaming system that was made by white men, built on tropes and stories largely written by white men, and—at least at first—primarily played by other white men (who were being swayed to join the new genre of play, adapted from historical wargaming systems). 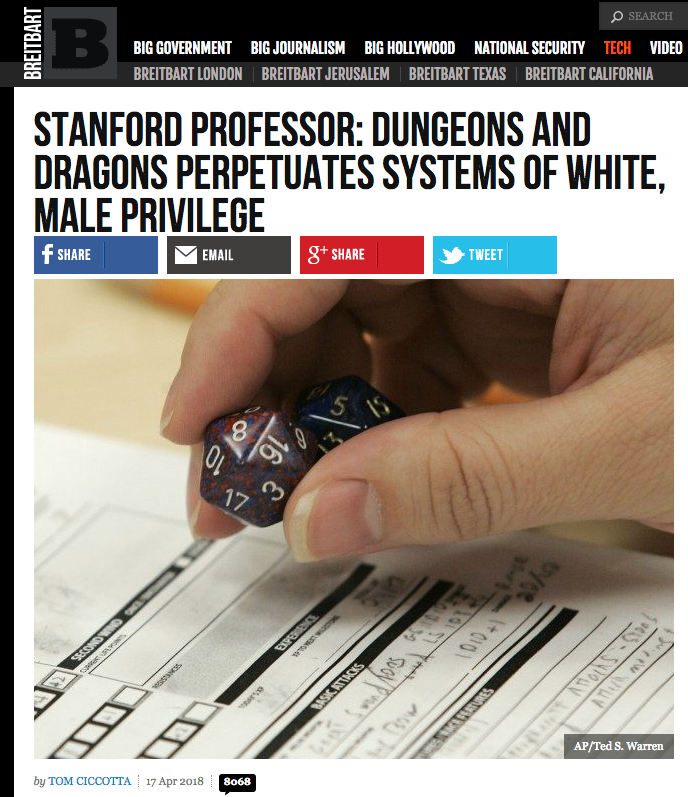 To be clear this research isn’t focused on how D&D “perpetuates” problematic tropes—contrary to the Breitbart headline. It is instead looking at how histories adapt and shift and inform over time. This later point gets to the other piece of this meme that really bugs me: the headline doesn’t actually represent what my work is about in the first place! One of the reasons I wrote this article was to both deeply excavate the historical systems that mediate every interaction at the Dungeons & Dragons gaming table and also to draw parallels to other—non-gaming—contexts. As some grumpy commenters noted, some of the language in the earlier editions of the game no longer exist in the current edition. What I want to recognize is that, smoothing over language, rules, and representation in previous versions of the game does not erase history. Further, race, gender, and privilege assert themselves within particular contexts. The cultural production and influence around a community must be explored. How individuals understand what happens within a gaming community, for example, is shaped and influenced by cultural factors external to the ecosystem being analyzed. In short, games are a part of culture, and culture seeps into their enactment. The cultural production and influence from within the systemic design of cultural artifacts must be explored. As illustrated in this study, the human biases and beliefs of individuals that construct systems are embedded within systems. These guide beliefs and influence specific “cultural-historical repertoires” (Gutiérrez & Rogoff, 2003; p. 21). Although cultural-historical analyses often attend to the preceding first point, the human-built foundations within systems may more easily be overlooked. Particularly as educational research considers biases, oppression, and equity in varied communities of practice, the role that cultural artifacts play in the shaping of meaning and understanding must be unpacked. One task of researchers is translation. Explaining the practices, experiences, and analyses from one context and making them coherent for academic peers is central to how my work is evaluated. Unfortunately, this means that my translational work is focused on a community that’s historically elitist in our language practices and in the fences put up around our work; the article in question is behind an academic paywall (though there are plenty of online places that are sharing linked PDFs and I am happy to furnish this work for others). Taking the nuances of the cultural-historical research around tabletop roleplaying and explaining it to other educational researchers often means presenting things that are seemingly obvious to the tabletop community and explaining them to a new audience. And so I often explain this work to gamers and it’s pretty mundane to some. 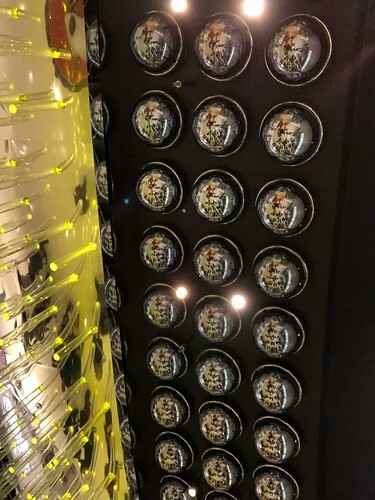 At the same time, acknowledging a history that was made by particular individuals with their own cultural values has posed as a threat to the closed off, protectionist practices of gaming spaces. To this last point, the title of this post is only trying to be slightly provocative. I do think there is a need to dig into the nuances of a gamer fragility and the explosion in interest, think pieces, and popular books around white fragility. Several recent books have been helpful in contextualizing gamer fragility, even if that’s not the vocabulary the authors use. Part of what—I think—contributes to the vitriolic response to the Breitbart article and the subsequent memes around my work is the insecurity of presumed outsiders critiquing or looking closely at history, culture, and power in games. It’s true of systems of writing, language, schooling, and youth popular culture. It’s largely the push against what much of my career has focused on to date. 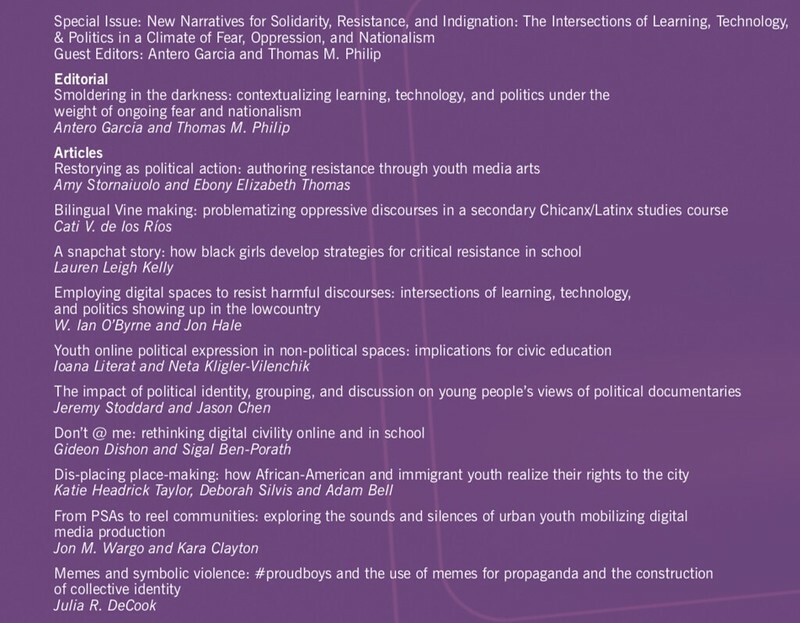 I am excited to announce the publication of the latest issue of Learning, Media and Technology – New Narratives for Solidarity, Resistance, and Indignation: The Intersections of Learning, Technology, & Politics in a Climate of Fear, Oppression. Thomas Philip and I proposed this issue in the early months of 2017 expecting to highlight research of a passing moment. 20 months later, it is clear that the urgency around the themes for this issue has only increased. The ten articles in this collection point to necessary scholarship exploring what learning and technology mean within the contexts of violence pervasive in recent years. We write this acknowledging that the vast majority of educational—particularly classroom-specific—research is conducted now without acknowledging the sociopolitical contexts that press on the lives of youth today. As students sit in schools within the U.S., they are presented with reminders that youth are presently in cages, are victims of violence and unarmed deaths, and are foisted into debates of the morality of alleged sexual assault. To consider improving student learning outcomes, we must first acknowledge the substantial damage that is being incurred by both the blindness of schools to the healing needs of youth (Zembylas, 2007) and the normative approaches of educational research on vulnerable communities (Tuck, 2009). about the intersections of learning, engagement, and resistance. We edited this issue because there is not a more important focus for us to center in educational research than the lives of individuals continually living under the threat of oppression and autocracy. Our contributors are interrogating this topic in powerful, imaginative, and hopeful ways. Please take a look at the full table of contents here. 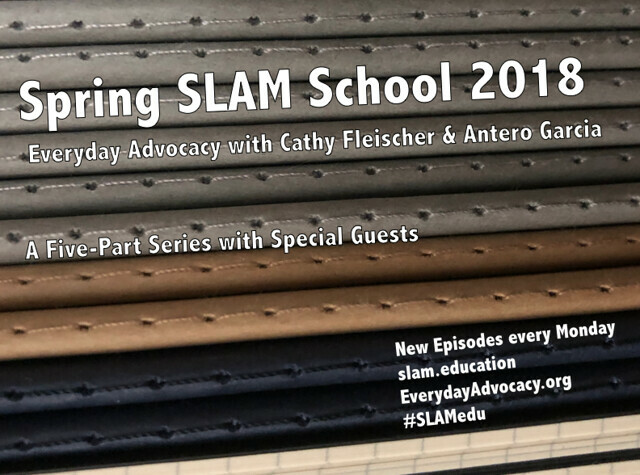 After a brief break, SLAM School returns with a five part focus on Everyday Advocacy. Co-hosted by Cathy Fleischer (Eastern Michigan University) and Antero Garcia (Stanford University), each episode unpacks specific approaches to building your skillset as a classroom advocate. Starting on April 30th, new episodes will appear weekly. You can catch up on all past SLAM School sessions on our YouTube page. SLAM School is an ongoing series for educators and organizers hosted by the NCTE Studies of Literacies & Multimedia (SLAM). Each class will feature a 15-20 minute hands-on session to help engage in discussions of activism in classrooms and beyond. For more information, please visit SLAM.education or the Twitter hashtag #SLAMedu. That article and various reddit threads about it have garnered thousands of not-so-friendly comments. Not surprisingly, my inbox has been filled with a handful of nasty messages the last few days as well. I’m not entirely sure why this happened now: the article described in that headline came out a year ago (it can be found here and I have talked through the paper in a handful of streamed presentations that also now have many unkind comments added to them). In case you’re wondering, I’m fine. Really. I think I got worse blowback a few years ago. As a bit of perspective, though, it might be worth offering a bit of an origin story to this work. Why Study Dungeons & Dragons? My hypothesis was that it would be harder for gaming culture to so openly reject the lives and experiences of some players if anonymity was removed and play happened face to face in analog gaming environments … like Dungeons & Dragons. To be absolutely clear, I had only positive interactions with the participants and friends I was privileged to learn from in my two years of ethnographic research as part of this work. The article in question, though, points to how the mechanisms that led to Gamergate can be seen embedded in the systemic designs of the earliest editions of the first roleplaying game. In some ways it feels like coming full circle: I moved away from digital gaming research because of the negative culture attached to it, only to end up experiencing the brunt of it as a result (admittedly, a somewhat crowded inbox is nothing compared to the experiences of many Gamergate victims). This is not all gloom and doom, though. There are an amazing variety of games (digital and non), designers, fans, and players interacting in a thriving and inclusive ecosystem today. The resilience of a minority of players that feel threatened by critique, by diversity, by change parallels broader resistance to progressive social change throughout history. Fittingly, as I write this, I am also in the midst of research tied to empathy, care, and healing in the lives of students and teachers. At their best, tabletop roleplaying games imagine worlds unseen; they can spark revolutionary civic thought in the collaborative narratives of players around a table. Preparing the next manuscript tied to this work, I am excited to push for alternative worlds and possibilities in schools, in cultural contexts, and in the lives of players. guistics Division where I currently work (credit to Kristina Lewis for posting this picture that originally brought the action to my attention). This is not just a rumor. Jenn Phuong has tracked down archival material from the Daily Pennsylvanian that show that these allegations were well-documented at the time and the university even agreed to a settlement with some of the victims. Yet, somehow this documentation has been erased from the official narrative that has been associated with Dell Hymes….until now. 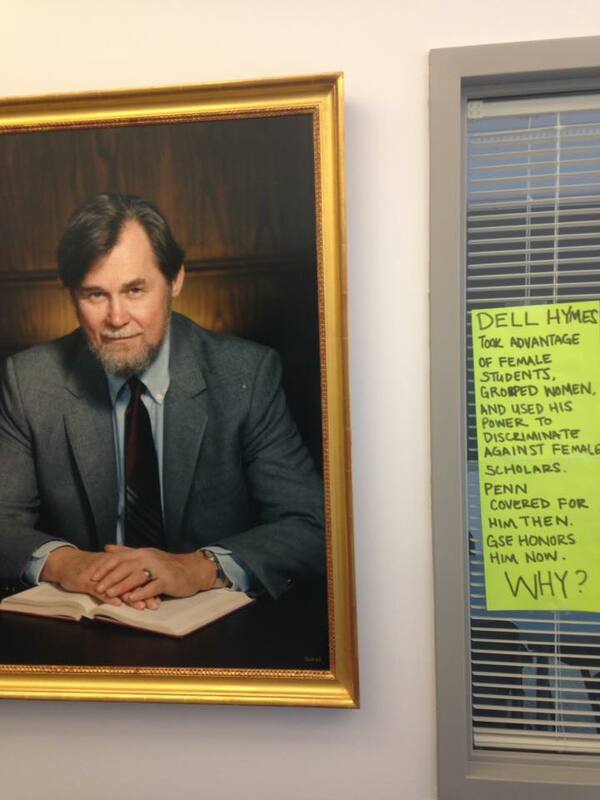 This public reminder has led to his portrait being taken down pending further investigation. This important symbolic gesture was made possible by the tireless effort of Penn GSE students along with the university-wide GET-UP organization. I admire their courage and am in awe of all that they have already accomplished. In checking in with Nelson, he pointed me to articles about the issue that students researched and collected here. So…when do we get to the questions about how this misogyny and predatory behavior informs our inheritance of the logics and practices of linguistic anthropology and other fields Hymes helped to found? I’m thinking especially of the positivist gaze and narrow view of power and inequality that characterizes them. It’s one thing to take down a portrait, entirely another to indict and reimagine fields and the academy more broadly. The #MeToo movement, of course has been shaping conversation within academia. The results of an anonymous survey only highlighted the unsurprising fact that misconduct runs rampant within this profession as it does across myriad others. Like nearly every profession that is confronting the long overdue reckoning of the #MeToo movement, academia is still reconciling–too slowly–with what’s to be done. In addition to the processes of healing, accountability, and action that must be taken up, I am wondering about some specific responsibilities that universities must face. I am setting aside the most obvious issues of accountability and healing for the remainder of this post not because they are unimportant but because I think there is little ambiguity that action needs to be taken. I am less certain about how our profession deals with the legacies of scholarship on which new work is produced. Bluntly, will we still cite scholarship from a publicly vetted case like Hymes? Does the foundational work he set in motion get taught in courses? Do we add an asterisk next to his name (and a growing list of others as they are made public)? Taking Hymes as a public example, I can imagine sociolinguistic scholarship being submitted to journals today that would be seen as suspect if it failed to properly cite Hymes. Unlike Hollywood, I think there are incidents where we cannot simply Christopher Plummer our scholarship with other studies waiting on the sidelines. At the time that I write this, Hymes’s Wikipedia entry does not mention any of his other lasting and damaging contributions to the field. Taking down the portrait is an important first step and I am moved by the bravery of Penn graduate students and grateful for Nelson amplifying their voices. Removing the proverbial portraits within systems of peer review which may provide cover for complicity feels more complicated. I’m curious how others imagine we take this up. Over the past several months, Joseph Finks I Only Listen to the Mountain Goats podcast has been a particularly illuminating listen. Going song-by-song through the Mountain Goats’s 2002 All Hail West Texas, the podcast is an engaging convergence of fandom, analysis, and documentary-like insight. Co-hosted by the singular member of the Mountain Goats (at least at the time that All Hail West Texas was recorded), John Darnielle, each episode finds Darnielle and Fink reflecting on the writing of a single song on the album. 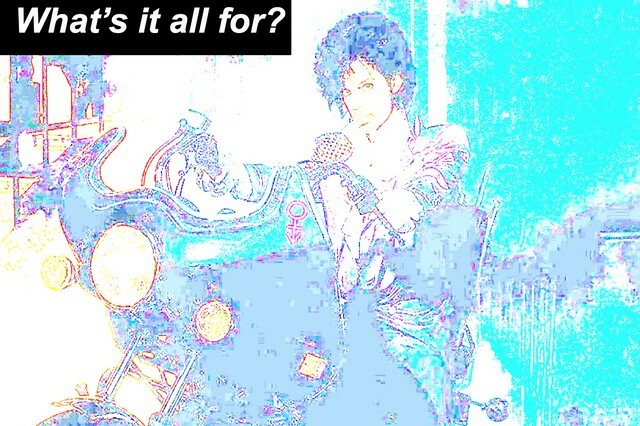 Each episode also includes a cover of the song in question and a discussion with the musicians tackling the track. Even if you don’t think you are a Mountain Goats fan, it’s a unique look into a singular creative process as well as a handful of covers that grow more playful by the episode. Julian Koster’s surreal, instrumental homage to Jeff Davis County Blues is a personal favorite. Craig Finn’s full band spin of “Fault Lines” and Amanda Palmer’s anthemic take on “”The Mess Inside” accentuate the strength of Darnielle’s original songwriting. The somber dusk of this first season approaches as the final track, “Absolute Lithops Effect” will be released imminently. Individually, the components that make the 40ish minutes of each episode so compelling are nothing new. Interviews with artists, fans digging into theories and offering personal anecdotes about art, playful covers of songs—these have existed long before podcasts (like Fink’s other series Welcome to Night Vale) came into popularity. Other than access to work alongside John Darnielle, there is no magical alchemy pulling this show together. That being said, I think the distribution of this podcast highlights the blurred lines of consumption and production in this participatory moment. Listening to each episode is an invitation into how work is dreamt and produced. It’s also a reminder that the intense connections we might each hold to work are also something we collectively share and that make us human. In this sense, I Only Listen to the Mountain Goats has been a healing podcast for me. Discussing “Jeff Davis County Blues,” Fink describes how the song reminds him of his late father–a personal connection that Darnielle could never have envisioned as he penned the song more than 15 years ago. Antero Garcia. Educator. Writer. Pundit for all seasons.